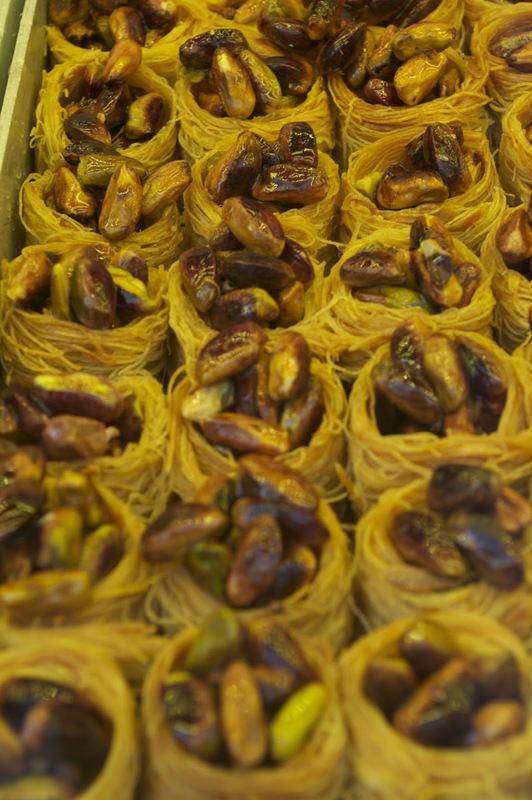 One of the consistent themes of A and C's recent trip to Turkey was the sweets. 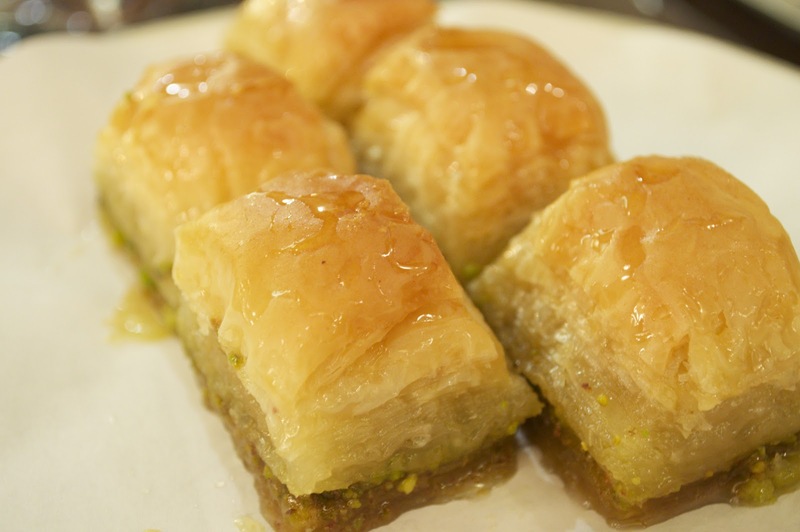 Both A and C regularly indulged in traditional Turkish sweets and one of our fail-safe choices for desserts and snacks was baklava (in fact, we must have eaten our way around every patisserie in the parts of Turkey we visited). 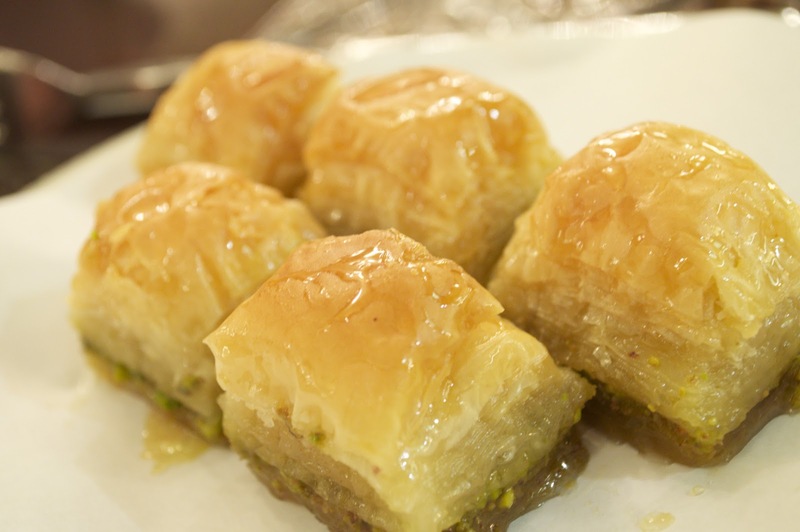 For those who don't know, baklava is a traditional sweet served up all over the Middle East. It comes in all sorts of iterations, but the basic ingredients don't change too much: nuts, filo pastry and honey are all constant themes. When done properly, the result is divine. It's sweet, sticky, nutty and crunchy all at the same time and if, like C, you have a sweet tooth, you'll love this stuff. 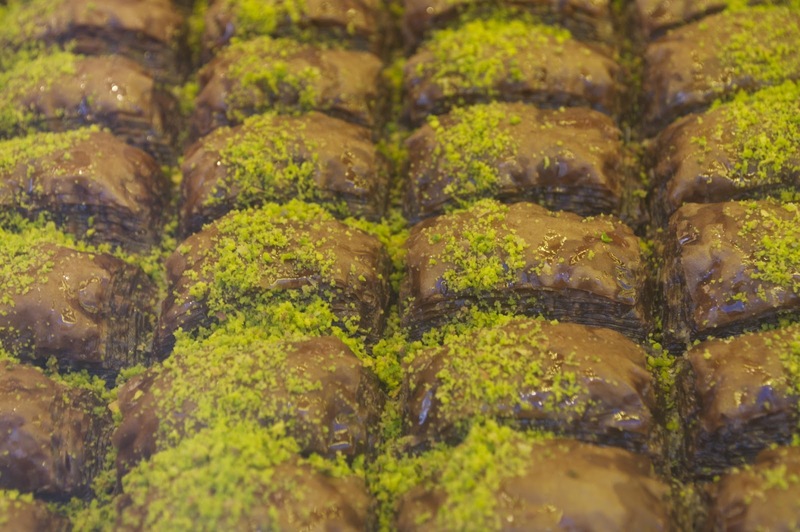 While A and C ate their way around Turkey's baklava patisseries, A's favourites from the trip were served up in Istanbul. 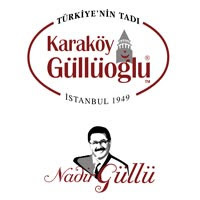 Karakoy Gulluoglu is an Istanbul institution: the place looks like a traditional continental cafe with simple wooden tables and chairs, a black and white patterned floor and long counters displaying the pastries. You pay at the cashier and then you take your chit to the counter, where the desired pastries are served up. 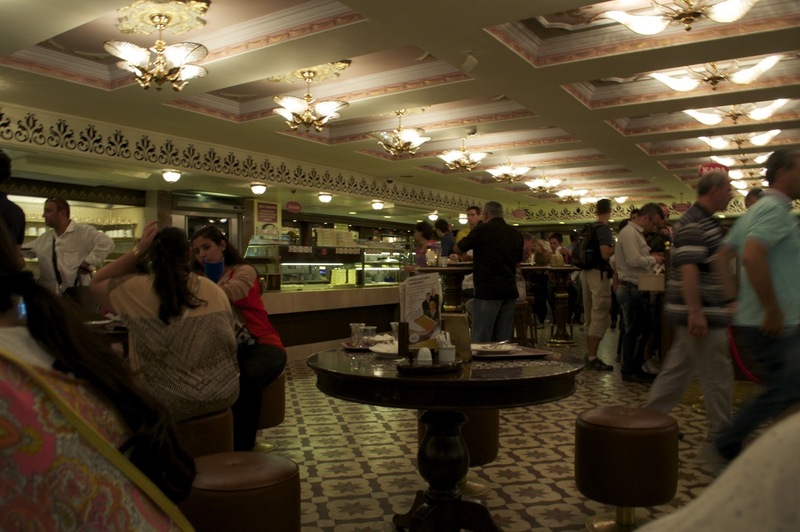 The place is constantly packed as Istanbullus take the opportunity to get a sweet fix. The pastries here were possibly the best we had during the entire trip (and we ate A LOT of pastries). Pistachio baklava pieces were absolutely drowning in honey, even to the point where they were impossible to lift from the non-stick paper they came on. The nut pieces were full of flavour, the filo was puffy and the overall result was bliss on a plate. 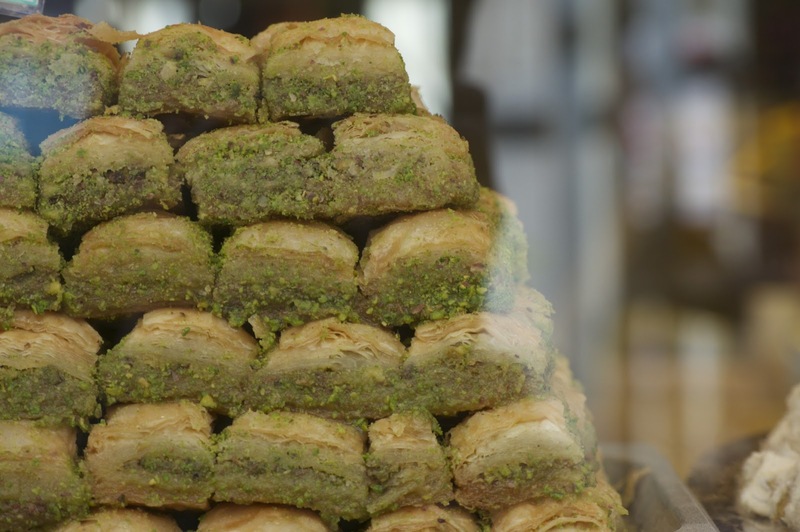 Baklava can be found quite easily in London. Many Turkish restaurants (for example Tas, which can be found in several places) serve it up, and many Arab and Iranian places stock it too. When A was a kid, he used to get it from time to time from an Iranian place called Super Hormuz in Temple Fortune. Be aware that their website doesn't mention the stuff, but they certainly used to sell it fresh back in the day.